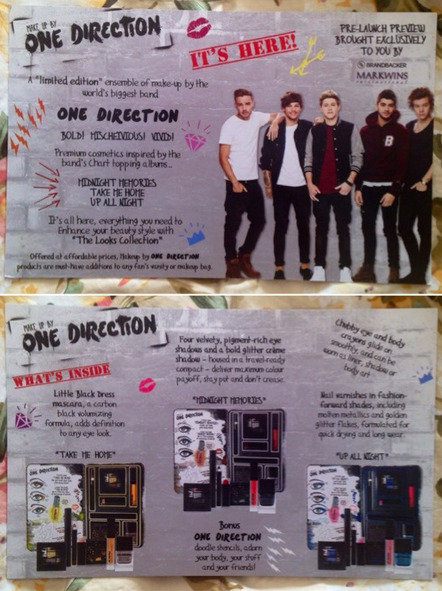 So a couple of weeks ago Brandbacker gave me the opportunity to try out and review One Direction’s new makeup line! Although I’m not as huge as a fan of the boys as I was in the past, I was still crazy excited to try out the makeup! “The Looks Collections” comprises three keepsake tins inspired by One Direction’s globe-conquering albums, “Up All Night, “Take Me Home” and the latest chart topper, ‘Midnight Memories.” Each tin comes complete with everything you need to show off your personality. Are you a rock n’ roll girl, a fun party girl or the girl next door? They have just the right collection for you, along with illustrations to help show you just how to get your perfect look. All your beauty essentials are housed in a LIMITED EDITION collectible keepsake tin with removable sleeve, complete with ONE DIRECTION doodle stencils to decorate your keepsake tin and make it uniquely your own! I don’t think International release dates have been announced (correct me if I’m wrong) but “The Looks Collection” hit stores on August 25th! You can find these beauties at Macy’s, Dillards, and Beauty Brands and I believe they cost $28.99, which isn’t a bad price at all since you get so many great beauty products! 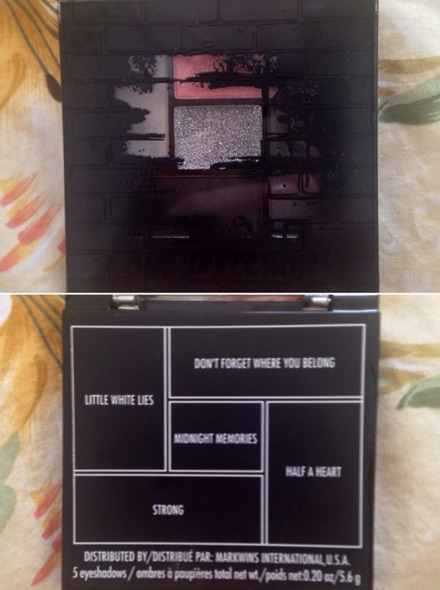 Before I received this set I had checked out the three different collections and hoped I was sent the Midnight Memories collection and I was super excited when I was sent this one! Here’s a closer look at the inside of the tin! The inside cover shows different looks you can create! Each collection also comes with an introductory card that shows what each collection looks like! 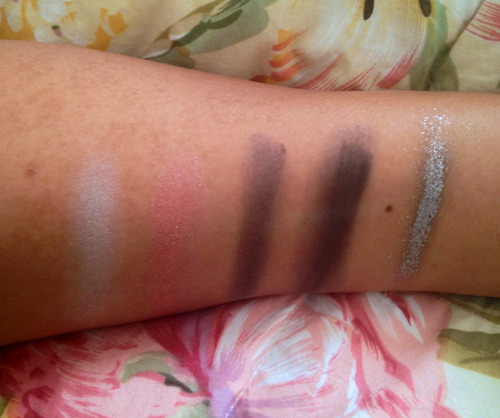 Here are some photos of the eyeshadow palette! I loved loved loved the colors! My favorites are “Don’t Forget Where You Belong” and “Midnight Memories”! I swatched them all as well. I found that most colors pigmented and blended well but I needed to use more of “Don’t Forget Where You Belong” for the color to actually show up. 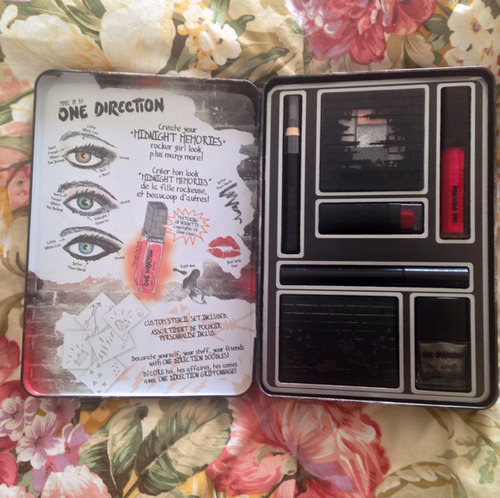 The kit also comes with stencils, black eye/body crayon, and mascara! 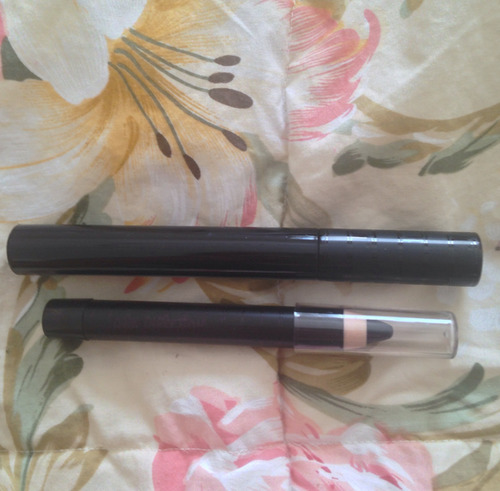 The body pencil is called “Better Than Words” and the mascara is called “Little Black Dress”. 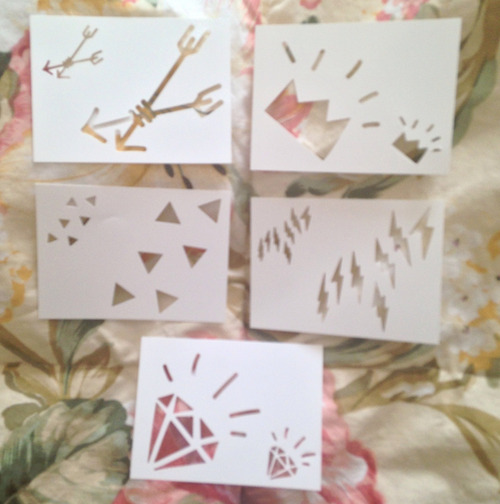 I tried out these stencils and I wouldn’t use them on myself often but it would definitely be fun to use on my younger cousins! The mascara is pretty nice, it doesn’t clump at all and it gives great volume to my lashes! I found it super easy to remove as well! I’ll definitely be using this often! The Looks Collection also comes with a lipstick and lip gloss! 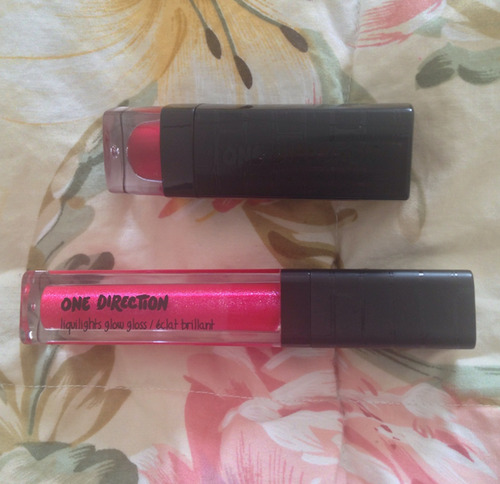 The lipstick is called “Best Song Ever” and the gloss is called “Through the Dark”. I wasn’t sure how I was going to like these two colors but I became more comfortable after playing around with them! 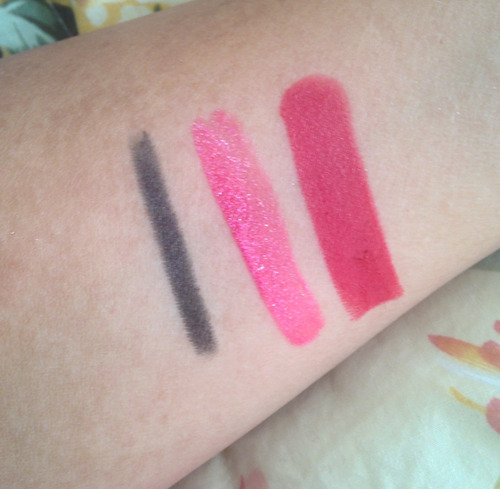 The lip gloss looked crazy bright when I swatched it but it wasn’t as bright when I put in on! I don’t think I could rock that red lipstick though! I, personally, prefer deep reds but I’ll still give this one another shot! The last product in this box was a nail polish! I LOVE the color! This polish is called “Right Now”. I was really surprised with the quality, I’ve had it on for a few days and it still hasn’t chipped! I’m mentioning this because my other polishes from brands like OPI and ORLY usually chip within 2 days! This polish also dried really really fast! I applied 2 coats and my nails dried within 5 minutes!!! Overall I’m pleased with this set! I was iffy about the eyeshadow and lip products but I love them more and more each time I use them! I think this set is a great value for $29 since you get so many different products! 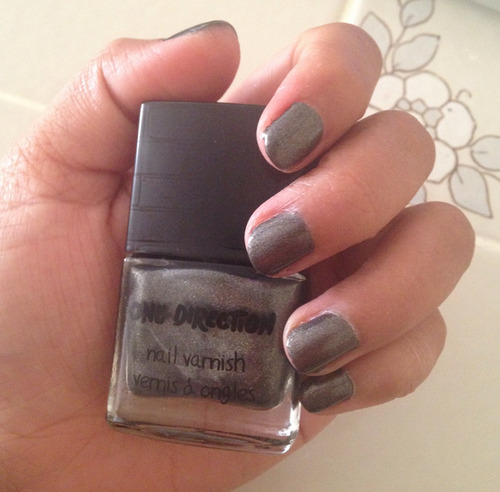 My favorite product is the nail varnish for sure! I’m also liking the lip gloss more and more after each time I use it! Be sure to share your thoughts in my ask box! Will you purchase The Looks Collection? 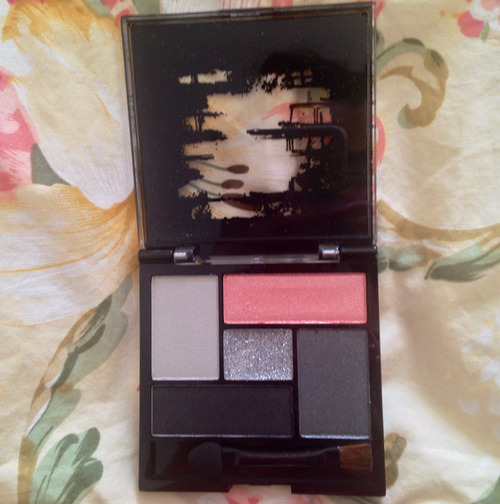 From the photos in my review, what product would you be most excited to try out? 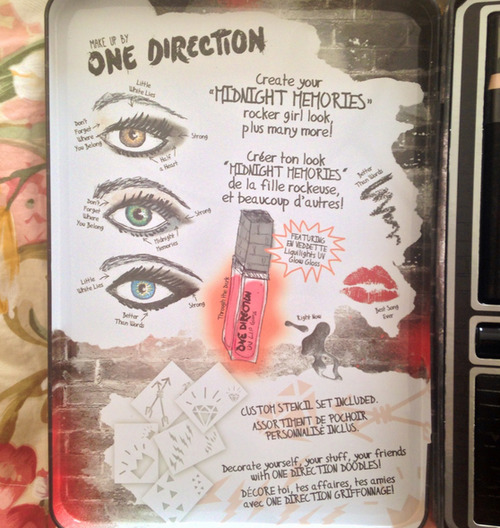 Also be sure to check out Makeup By 1D’s Facebook page here.